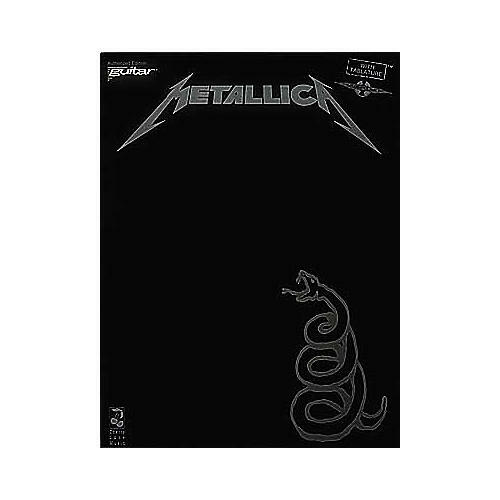 Get this guitar tab book for a matching folio of Metallica's critically acclaimed self-titled album Black. Fully transcribed with guitar tablature for "Don't Tread On Me," "Enter Sandman," "Holier Than Thou," "My Friend Of Misery," "Nothing Else Matters," "Of Wolf And Man," "Sad But True," "The God That Failed," "The Struggle Within," "The Unforgiven," "Through The Never," and "Wherever I May Roam." 98 pages.